From their Official PRS award, performing for Virgin Atlantic in Barbados, T.V. 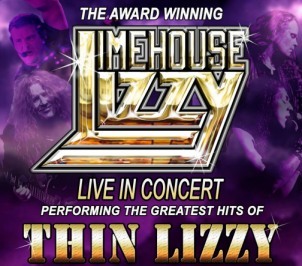 appearances (BBC 2’s ‘Arena’ amongst others), and to actually being recruited to record and tour by members of the original Thin Lizzy, Limehouse Lizzy have just completed their 25th year with their most explosive show and critically-acclaimed line-up yet. Despite international tours (UAE, Germany and previously USA, Scandinavia, Caribbean etc. ), corporate clients (Mitsubishi, NatWest) and even book appearances (The Rocker, Send In The Clones), they’ve shoehorned a co-headline tour with tribute giants Livewire into 2019, along with their own stand-alone tour, in what will be an exhausting year-long schedule. The boys are back!